I sat down with my December issue of Country Home magazine yesterday and found a recipe that I was dying to try–Microwave Caramels. 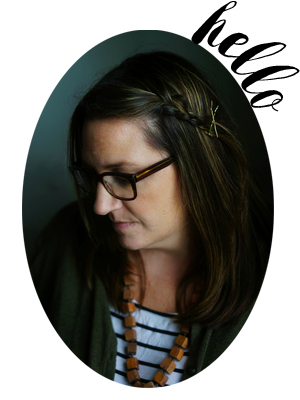 I’ve tried out a few candy-type recipes in the last few weeks trying to find something that meets my criteria of yummy, simple and easy– something I can pass out during the holidays to friends. 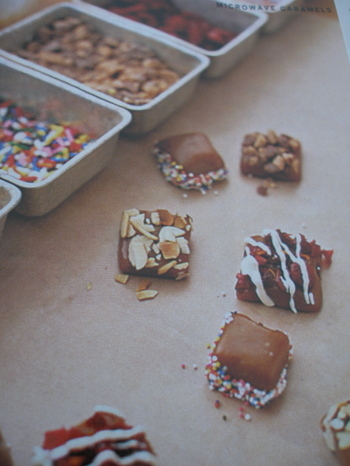 cute little caramels, dipped in sprinkles (a family favorite), and so easy that two cute little high school girls could manage the recipe all by themselves. Line a 9×9 baking pan with nonstick (or buttered foil). In a large microwave-safe bowl combine butter, br. sugar, c. syrup and condensed milk; cover loosely with parchment paper. Microwave on high for 4-5 minutes or until butter starts to melt. Whisk to combine mixture. Microwave on high for 4 or 5 minutes more. Whisk well. Microwave an additional 4 to 5 minutes. Whisk gently. Add vanilla. Pour caramel mixture into the prepared pan. Chill for 1 to 1 1/2 hours or until just firm. Using foil, lift block of caramel from the pan. Use a buttered knife to cut into one inch squares. First of all the chilling process took far longer than the one to one and a half hours. I left them in the fridge while Emma took her riding lesson(one and a half hours exactly). When I came back they were barely firm. I waited another hour–still not firm. So I put them in the freezer. ( I was working during naps–no patience). After about ten minutes I took them out. I tried cutting the cute little squares and they just weren’t coming out of the pan in the cute square shapes. They cut beautifully, but the littlest tug (or the heat from my hands) made them sloth into goopy shapes. As soon as I set the cut "squares on the cutting board, they began to sag into round flat blobs. So, I decided to improvise. 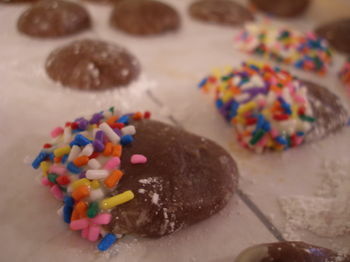 I got out some confectioner’s sugar, dipped my hands in it like flour and began rolling them into little balls. I figured they’d be cute as little buckeye-like caramels, partially dipped in white chocolate and sprinkles. They still sagged into tired little blobs. But, I kept pushing on, thinking maybe these little blogs were kind of cute. They had sort of a chocolate turtle candy shape to them. It could work. So I melted the white chocolate, filled a bowl with sprinkles and plowed on. The minute the caramel hit the chocolate it lost all ability to hold itself together. The warm chocolate pulled at the caramels and by the time I got them into the sprinkles they were oblong. I tried about ten of these, looked at the two trays of blobs I had sitting on my counter waiting for dipping and then threw in the towel. So I hate to discourage you from trying this recipe. In fact, I’d love for someone else to try it and tell me what happens. Am I missing some key element that would have made this recipe one hundred percent better? Should I have chilled it longer? Chilled in between steps? Go for it. And let me know if you do. But, I don’t think I’ll be ringing anyone’s doorbell this Christmas with a cute little tin of microwave caramels in hand…. Ugh – I hate it when thing like that happen. Unfortunatley, my caramel experience is rather limited. I, too, did not have a good go around the first time and never tried again. I will be interested to see what it takes to be successful at candy…. 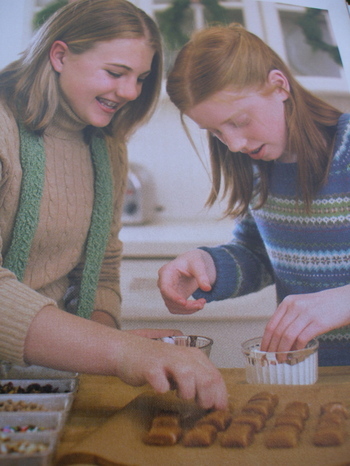 I love to bake, but I’ve never been successful with fudgy, caramelly or candyish type things. It must take practice! This is definitely something I would try myself but it’s taken me a few years to perfect my caramel making here. 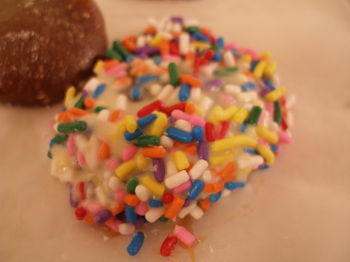 I won’t be able to try out the caramel recipe but I like the chocolate and sprinkles idea greatly. I’ll send you my peppermint taffy recipe that I got from my sister which has been handed down for years on her husbands side of the family and they make every Christmas together. Oh dear. Sounds like many of my attempts at recipe following that I’ve gotten from a mag. Hmmm. They do look pretty cute though. Maybe try one more time? Well Im not the person for the job – even my salt dough tree decorations went soggy – what the? Hmmm. Candy thermometer and freezing those suckers solid are probably your best bets. But gosh, they look rather tasty as they are. Caramel drops? What a fun recipe. I’ll have to try it out! Thanks! We had a spinach gnocchi disaster once – from a very reputable cook book too! The gnocchi dissolved as soon as we put them in the water. Ended up with green potato slop. Fortunately we had some store-bought pasta in the cupboard!! Sorry they didn’t turn out – despite all your improvisations! I think the ones suggesting a candy thermometer are on the right track. Seems like the candy wasn’t cooked long enough/didn’t reach a high enough temperature. Unfortunately, the recipe is so vague. Perhaps firm ball stage is what you’re aiming for (between about 242 and 248 degrees F). To be honest though… I’m PMSing, and I’d love nothing better than to graze at your counter for a while. It is definitely a case of undercooking – I made maple fudge before, with very similar directions, and it was like pourable fudge. Second time around, I cooked it far longer than directed to, figuring I couldn’t ruin it worse than it was, and that did the trick. And I agree with the comment that it would work better on the stove. Now I stick to microwave peanut brittle – more my speed and less fussy! I’ve made microwave peanut brittle, and I had to adjust the cook time for my particular microwave. I couldn’t just follow the recipe as it was stated. It took a lot of trial and error. So maybe you just need to adjust the time it cooks? I just might try out this recipe in the comming weeks. 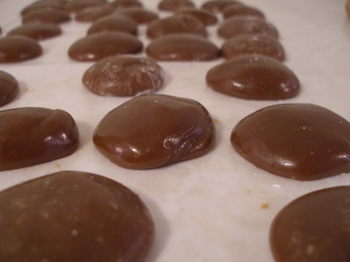 Vanilla nut caramels from See’s Candies are my favorite, and I’d love to be able to duplicate it. I saw that recipe too and thought to myself there was no way they would look like that out of my microwave! Kudos for trying. Caramel is a bit tricky so the thought of just whipping up a batch in the microwave just doesn’t seem right. I may try it anyways but we will see. I just picked up that magazine today! I’m planning on relaxing with it later this evening after the kids go to bed. And who knows? One of these days, I might just break down and cook…and I’m thinking those candies might just be what pushes me over the edge! lol! Thank you for posting this BLOG!!!! I lost this recipe! I, also used this recipe from Country Living, and was also a little upset with how plyable they turned out…But they were the PERFECT consistancy for pecan turtles!!! Just set three pecans down, push your “caramel patties” into them, then spoon on the melted chocolate, then freeze.